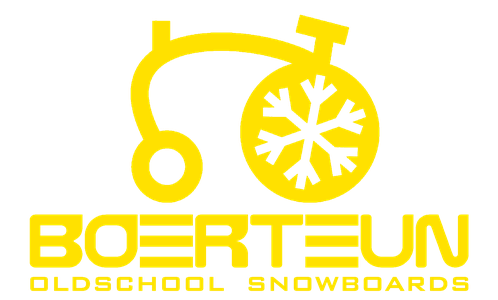 Home - De website van boerteun-snowboards! 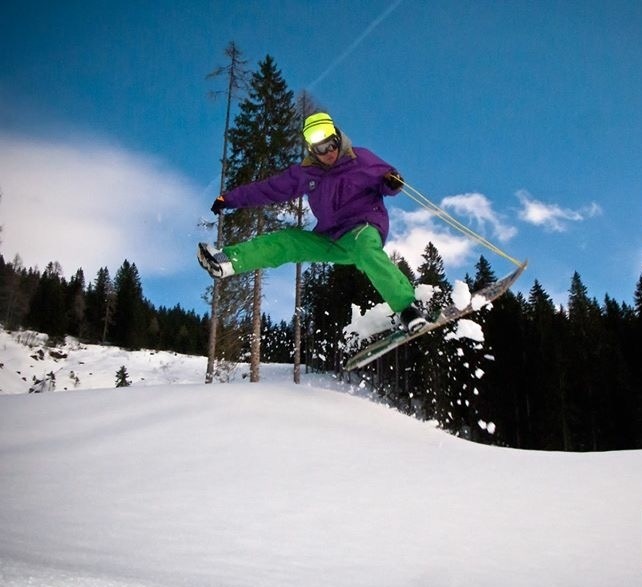 How would it have felt, being a snowboard pioneer in the early 80’s.....? 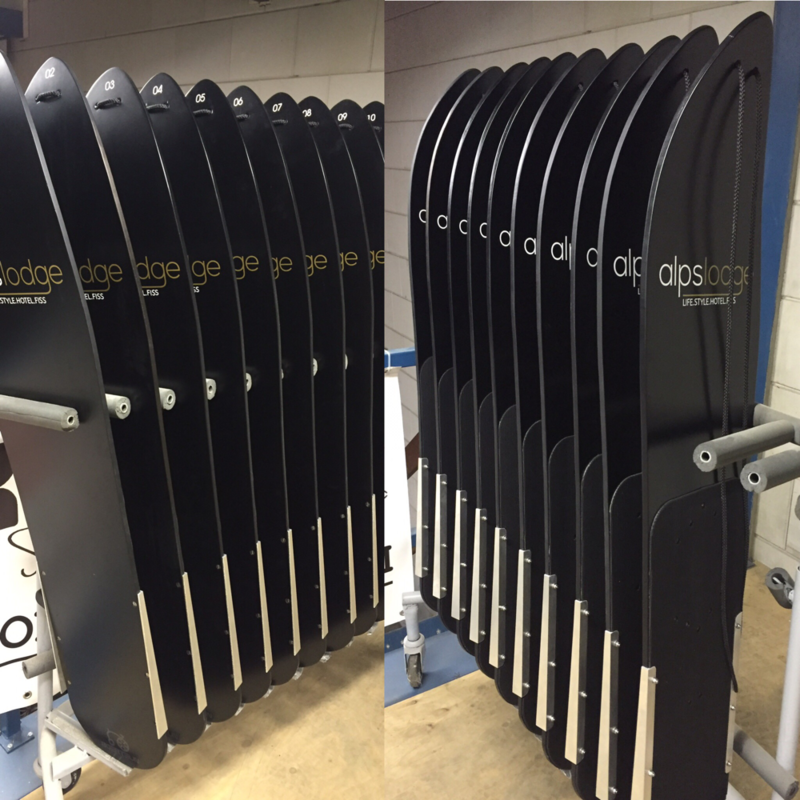 We manufacture and supply old school snowboards. 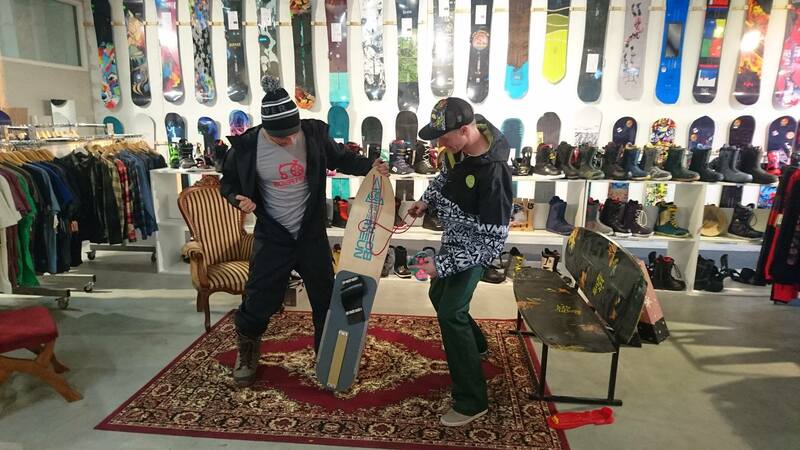 All boards are handmade out of birch plywood, reinforced with fiberglass. 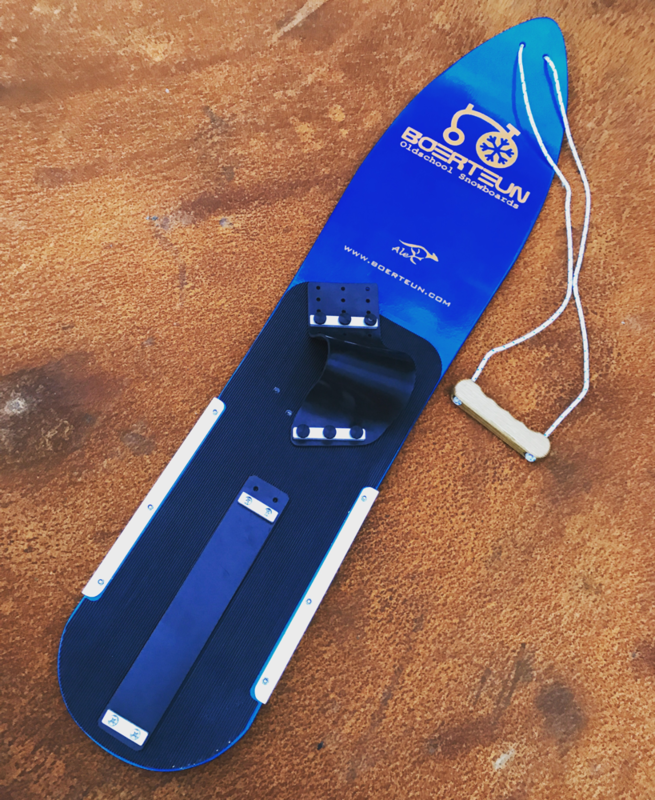 In a nutshell, a new board with the shape, looks and craftsmanship of 35 years ago. 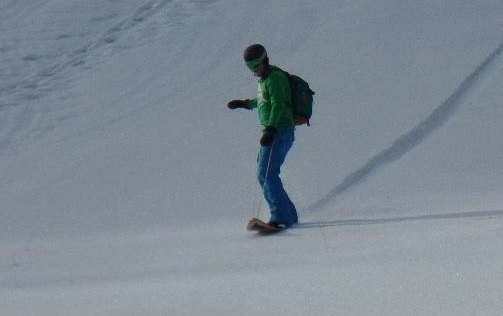 Back then snowboard boots didn't exist yet. 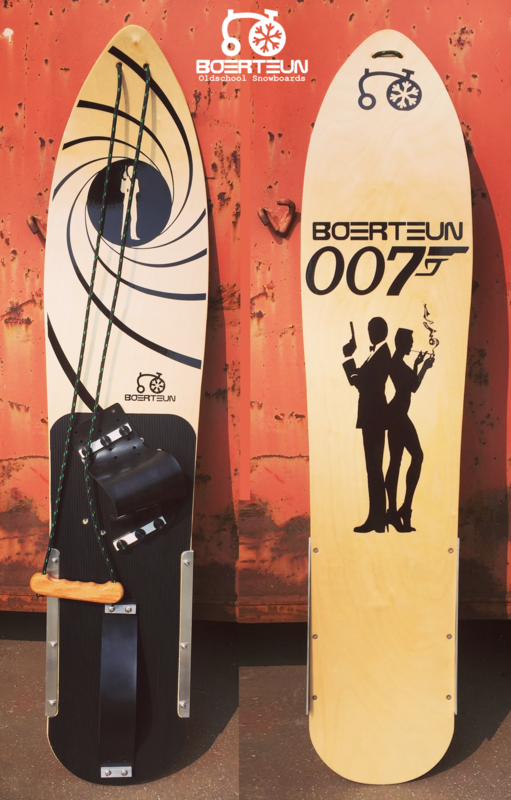 For that reason, you can ride a Boerteun also on your hiking boots. 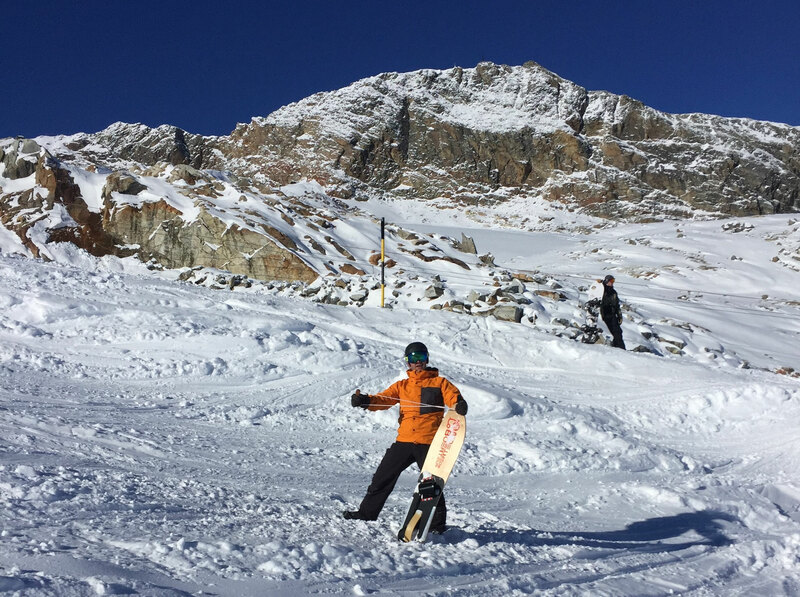 All boards are unique and custom made and on request even with your own personal topsheet and base. 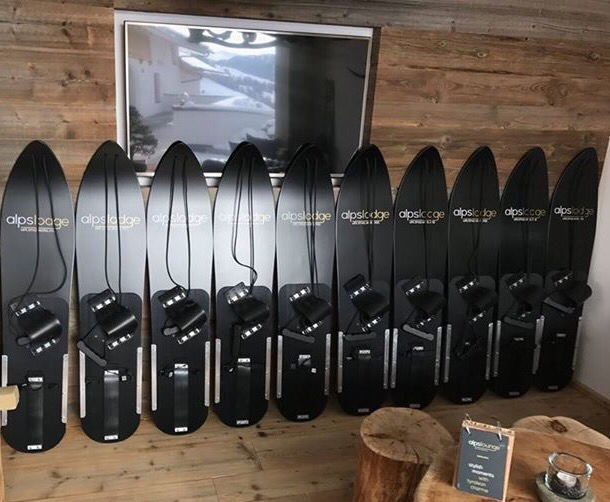 It is even possible to make special snowboards as wall decoration in your hotel or restaurant, we can put your own logo or name on it (send us an e-mail if you want more information about this) .